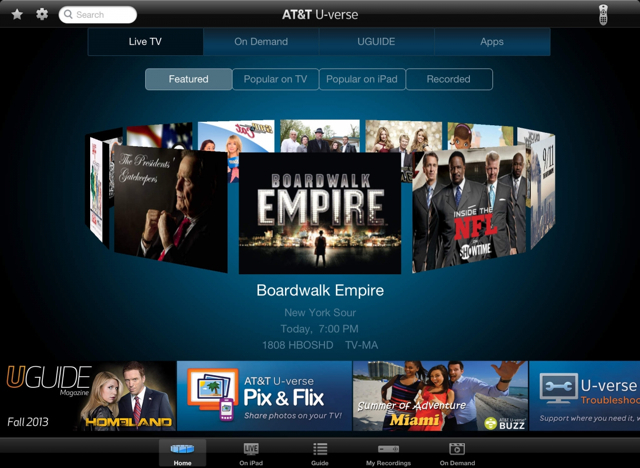 The AT&T U-Verse app for iPad has been updated to let you watch live TV. At launch, live access is being provided to approximately 108 channels. Of those, 25 will be available outside of the home. 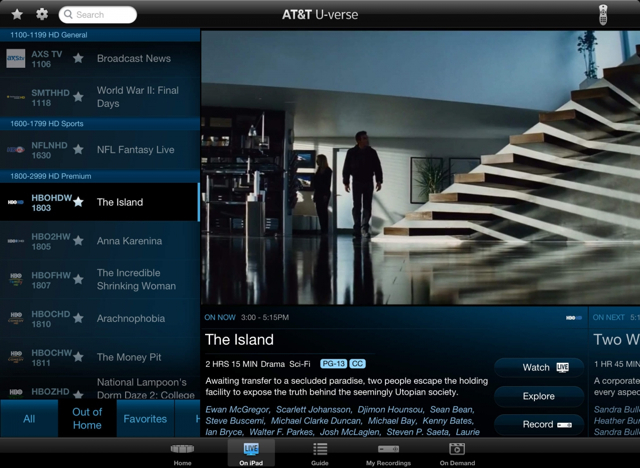 Enhance your entertainment experience with the free U-verse app for your iPad. Watch Live TV and On Demand shows, manage your DVR, and use the app as a remote control. You'll also get a free subscription to UGUIDE Magazine—your go-to source for entertainment and all things U-verse. • Watch Live TV – right on your iPad! Enjoy Live TV in the palm of your hand! 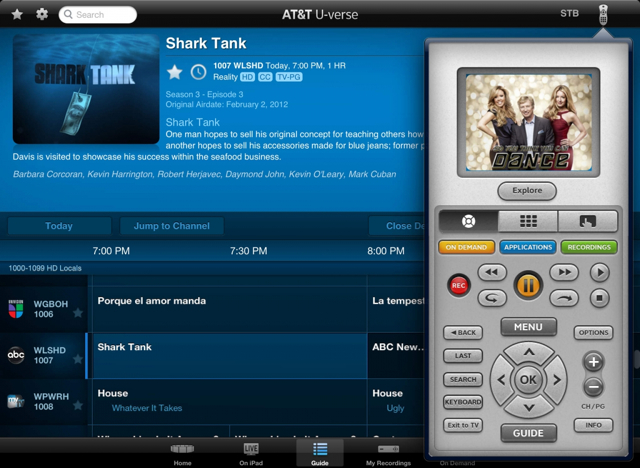 You can download AT&T U-verse from the App Store for free.